The earth has been plagued by terrifying mutant beasts known as the Aragami and man’s only hope against them is the God Arc weapons and the God Eaters who wield them. Create your own hero and battle against many different types of these enemies, picking up items along the way to customize your weapons, guns, bullets and shields, boosting your strength and stamina in the massive scale fights. 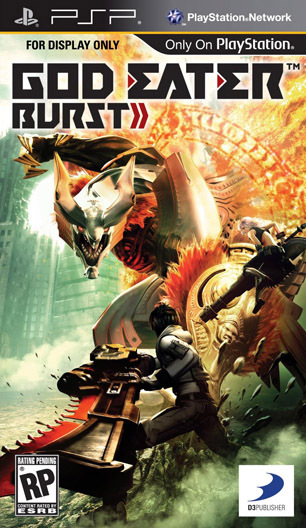 Enhanced over the original Japanese release edition, Gods Eater Burst brings to the already captivating God Eater package a host of new modifications, gameplay enhancements and additional content and features. 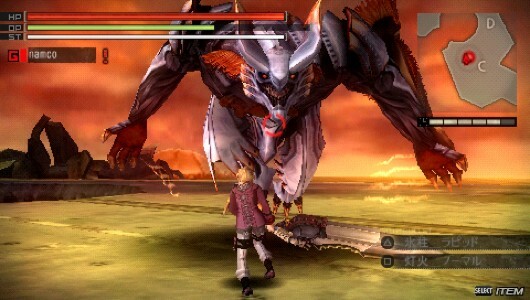 The furious pace of the gameplay will send players hurtling through more than twice the number of missions in the original Gods Eater, demanding quick thinking for tactical shifts between weapons to slash, shoot and devour some seriously imposing enemies. Bullets can be customized to alter their strength, patterns and elemental type for wildly effective super attacks. The original Devouring Attack adds a new strategic level as players transform into Burst Mode, boosting their stats and special bullets to launch potent attacks. 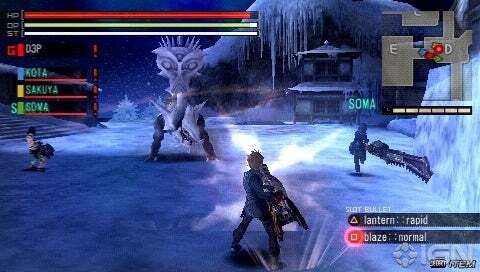 Players can hunt with AI controlled party members or join hunting parties with up to four players via Ad Hoc connection, or connect the PSP system to a PlayStation 3 computer entertainment system and play online using Adhoc Party in cooperative mode.